Although the sectors and fraction of workers covered are small given the low rates of formality and urbanization in Sub-Saharan Africa (SSA), as the number of covered workers grows wage regulation will become increasingly significant. We find that higher minimum wage values are associated with higher GDP per capita. Importantly, however, we find that the minimum wage relative to the mean wage is higher in low income countries than in lowerand upper-middle income countries. Indeed, SSA as a whole reflects a bias towards a more aggressive minimum wage policy compared to the rest of the world. 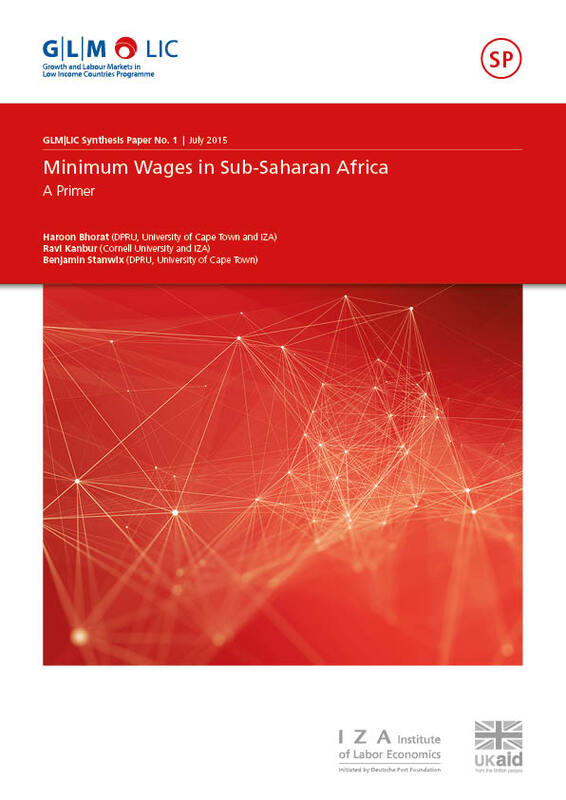 There is limited research on the employment effect of minimum wages in SSA, but the few findings are consistent with the broad summary of global research. By and large, introducing and raising the minimum wage has a small negative impact or no measurable negative impact. However, there is significant variation around this average finding – the employment elasticities are not constant nor linear. Where increases in a minimum wage are large and immediate, this can result in employment losses, but more modest increases usually have very little observably adverse effects and may have positive impacts on wages. The great variability in findings on employment could be due partly to the great variation in the detail of the minimum wage regimes and schedules country by country, but also by the variations in compliance. We find that higher Kaitz indices are associated with higher levels of non-compliance. The release of country-level earnings and employment data at regular intervals lies at the heart of a future country-focused minimum wage research agenda for Africa.